All of Ada's bridal jewelry is custom made-to-order. Your love is one-of-a-kind; your diamond ring should be too. Exceptional jewelry for extraordinary women, designed by award-winning artists and custom made in the USA from ethically sourced gold and platinum. 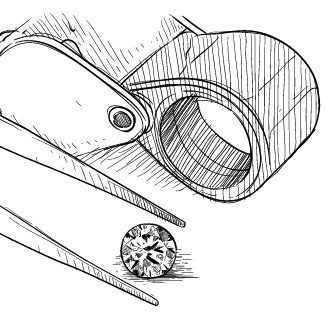 Compared to mined diamonds, cultured diamonds have superior brilliance, purity, and origin. It's no wonder Fortune says man made diamonds are now better than mined. 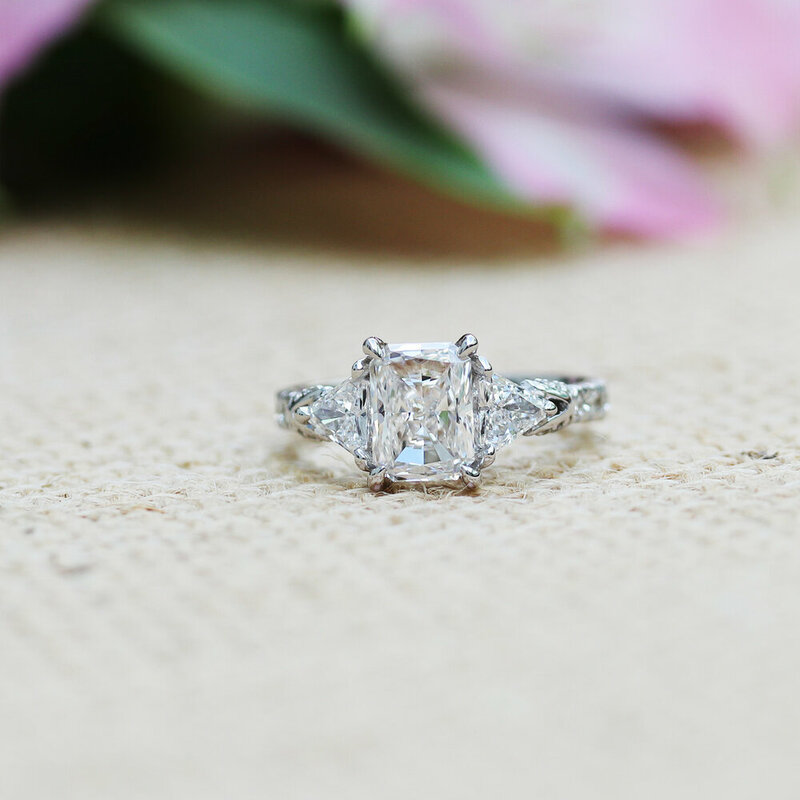 We are proud diamond snobs, exacting in our quality standards. We offer a white glove concierge service, the convenience of online shopping, and the peace of mind that comes with ethical, sustainable luxury. 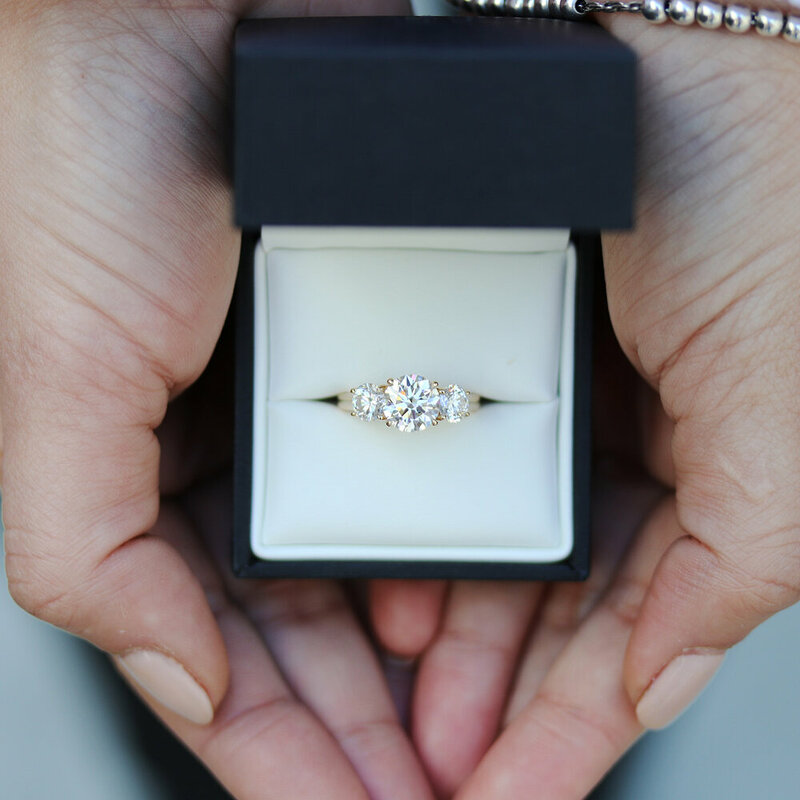 Throughout your journey to create a one-of-a-kind piece of jewelry, you will be supported by a member of Ada's Diamond Concierge Team. 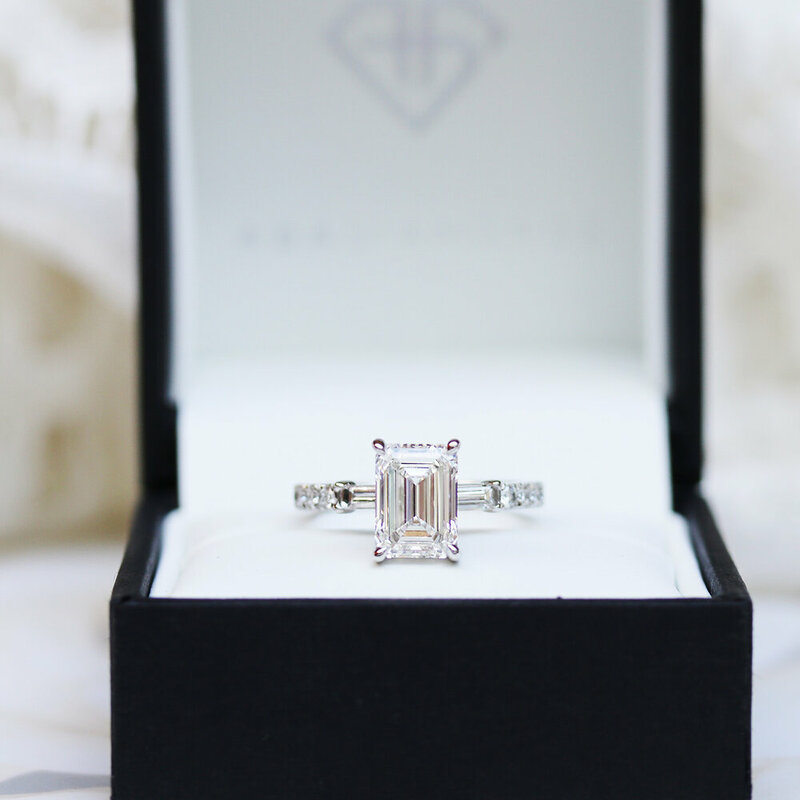 Your Concierge will curate a list of diamonds superlative in quality & value. 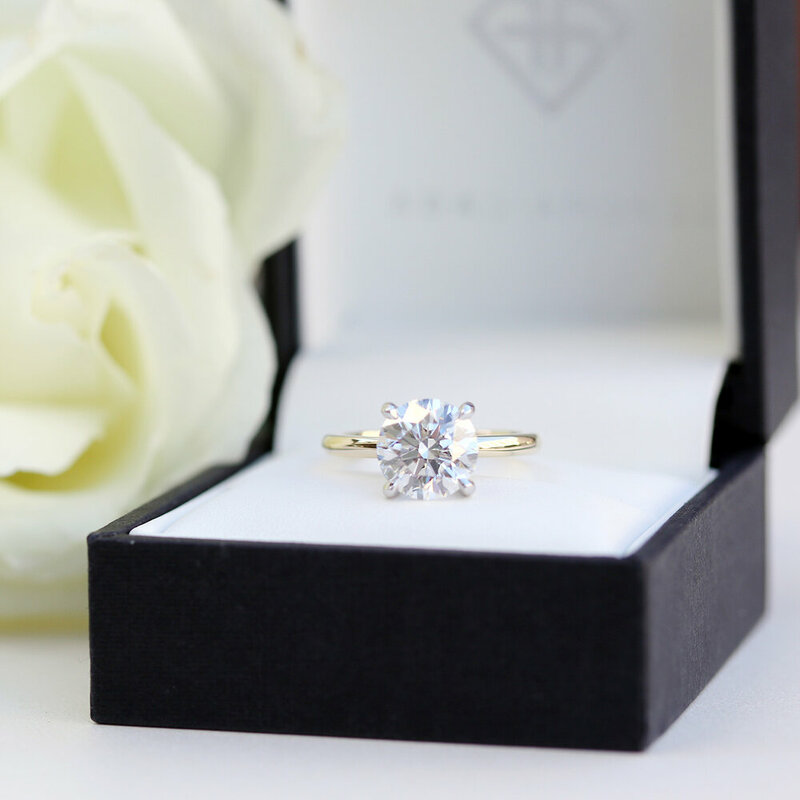 We are discerning experts that reject over 85% of lab diamonds as beneath our standards. Learn more. We bring your vision to life in an immersive design process. Begin with one of our existing designs, or create from the heart. Every single ring is custom, without exception. Learn more. Your fine jewelry is made-to-order in the USA by award-winning artists. Rest assured with free shipping, 30 day returns, same-day re-sizing, and lifetime trade-in. Learn more. Now not only was the customer service top-notch, but the quality of their diamonds are impeccable. The wedding set we designed was beautiful enough in the pictures/designs she sent us but absolutely STUNNING in real life. Thrilled with Ada Diamonds. The quality is amazing, regardless of the price, which was also amazing. The team was extremely helpful. The whole process was very smooth and most importantly, my fiancée loves it! The pricing at Ada was actually pretty similar to the other web sites, but that's where the similarities ended. The customer service and experience at Ada Diamonds was outstanding and far superior to anything I received anywhere else. Great communication, quick response time, everyone seemed passionate about their work and getting you exactly what you want. They make the process super easy and you can be very confident the final product will be simply amazing. I couldn't be happier with the ring I received and the customer service Ada Diamonds provided! My fiance absolutely loved the ring!!! I was lost searching the internet for diamonds until I stumbled across Ada. They found me the exact diamond I was looking for and the final ring exceeded every imaginable expectation. My fianceé gets compliments on her ring daily. My fiancé ordered my ring from here, and his Concierge was so helpful with picking out the perfect setting and diamond for it. He said the whole process was so easy and even though he ordered online he was treated far better than any of the stores he went to in person! My Concierge was great! She took her time in detailing each diamond and getting a great collection together so that I could see what I liked best. We found the perfect color/carat/clarity diamond that I was looking for that was still within my budget and my fianceé is absolutely obsessed with it. The ring exceeded my every expectation and I get compliments on it every single time I wear it. After he proposed to he let me in on the e-mail conversations with the Ada team: such knowledge and passion for the industry. Could not be happier with the entire process, start to finish. Right from the start, I had an incredibly positive experience with Ada Diamonds. The ring arrived just a couple of days after production and it's perfect! Simple, elegant, and brilliant. 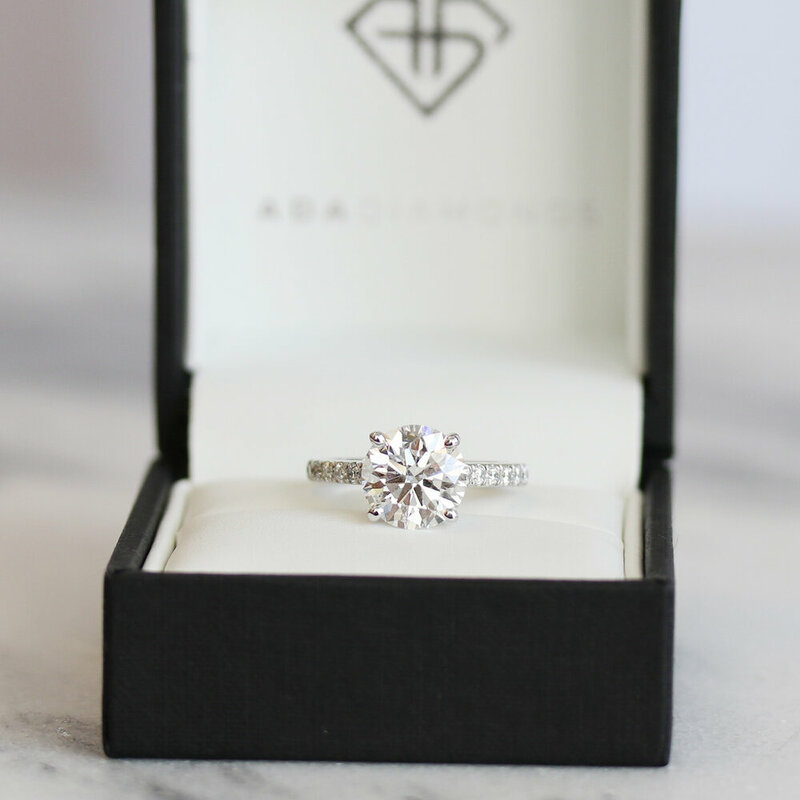 I would definitely recommend Ada Diamonds for their amazing service and quality product. Thank you! I don't often leave Yelp reviews, but I have got to say that Ada Diamonds is exceptional. Bar none, the level of expertise, service, and attention to detail is the greatest I have ever experienced. The ring exceeded all my expectations. I'm so amazed with the design, details, shine, literally everything! I can't stop staring at it, I'm so in love with it! 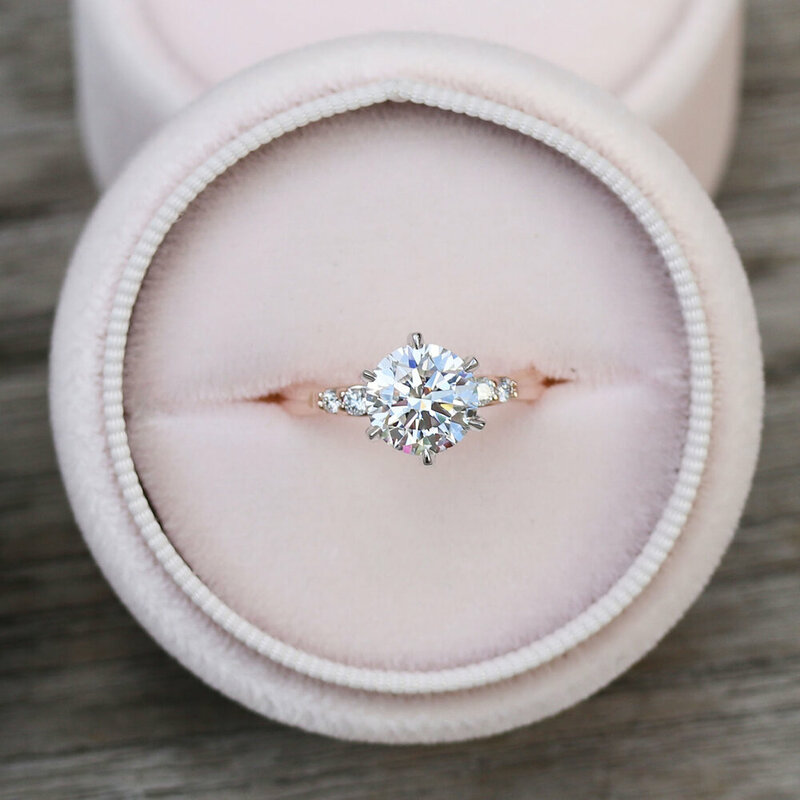 I was originally planning to purchase a natural diamond but changed my mind after seeing some of Ada's inventory...their stones are fantastic, slightly less expensive than natural diamonds of comparable quality, and we can know for certain that they were sourced in a responsible way! The whole experience was above and beyond anything that we had encountered before, the Ada team are so helpful and so great to work with. I am so happy with my ring and the peace of knowing that my lab diamond is TRULY conflict free. And it's so beautiful! I am absolutely in love with the beautiful ring Ada helped my fiancé create! Our Concierge was checking in every step of the way, was very responsive, was really flexible with changes, and all around a pleasure to work with. And the diamond!! It is beyond stunning! I can't take my eyes off of it! My Concierge helped me to build the perfect ring from the ground up. She respected my budget, took my ideas and made them better, and the end result was better than I could have ever hoped! I can't wait to start working on the next piece of jewelry! It was really a wonderful experience working with Ada Diamonds. I'm happy to say that my now fiance absolutely loved the ring and I'll be sure to share this experience with anyone I know who has some ring shopping to do. We were considering a simple ring from Cartier until we got referred to Ada diamonds by one of our close friends! Let me tell you that this is one of the best decisions that we have made about our engagement! The whole process took place through e-mail and video chat, which was actually very convenient. My concierge updated me with details, renderings, and photos throughout the process. The final ring was absolutely beautiful and my now fiancée is incredibly happy with it. 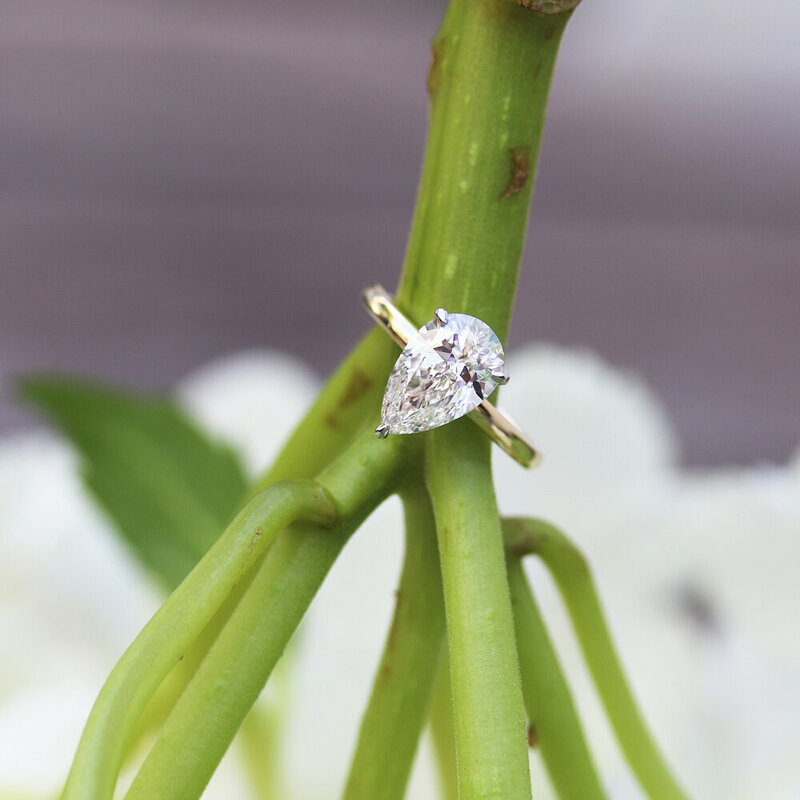 Ada Diamonds was wonderful to work with to create both engagement ring and wedding band. They are pleasant to work with and very responsive. Highly recommended!! I'm used to predatory and sleazy salesman at cheesy jewelry stores. This is NOT the case with Ada. They were incredibly professional and very informative. Before even seeing my first stone, Ada spent about an hour of time educating me on the 4 C's of diamonds. Ada is AMAZING: best in class customer service, fast response times, extensive selection of diamonds, personalization, and unmatched quality and value. Ada Diamonds was a pleasure to work with for a number of reasons. 1) their website is really well done and easy to use, 2) their in-house staff is super knowledgable the process and very easy going, 3) they're not mined from the earth; they're just beautiful, freakin, diamonds. Their responsiveness, knowledge, and kindness are simply unmatched, and made our design process so exciting. We are so grateful that they genuinely cared about us, and ensuring the ring was not only a representation of our relationship, but that it exceeded any and all expectations we had. Buying my fiancé's engagement ring from Ada Diamonds was hands down the best jewelry shopping experience I've ever had. From the first contact with the diamond concierge to the time I picked it up, I received the most consultative experience. I am absolutely in love with the ring my fiancé and the Ada Concierge worked on together for me! I truly couldn't have imagined anything the beautiful on my own. It's so me and the fact that it's lab grown makes it that much better! After an initial discussion about everything that I knew about what my partner wanted, my Concierge found the perfect diamond. Then, she worked with me to design a beautiful ring in a back and forth that was really easy. I was thrilled with the end result and so is my now fiancee!